When will be Mountain Life next episode air date? Is Mountain Life renewed or cancelled? Where to countdown Mountain Life air dates? Is Mountain Life worth watching? From the wooded peaks of the East Coast's Blue Ridge to Hawaii's tropical Mauna Loa, the mountains are the ultimate retreat for people who want to get away from it all. The gorgeous views, fresh air, and the sheer joy of sitting on top of the world are a few of the elements that draw homeowners to these remote locations. We'll follow families as they search for their oases in the clouds on Mountain Life. A couple decides it's time to find a new home with more space and better views. Currently living in North Bend, WA, they're hoping to stay local so they can take advantage of the Cascade Range Mountains that surround the area and their daughter can stay close to her friends. She wants a home with an open floor plan that lets in lots of natural light and he's hoping the new home will come with a home theater space. The market in the North Bend area is highly competitive but their realtor knows he can find the perfect home that fits their wishes. Newlyweds recently decided to blend their family of seven and want to find a place for the kids to grow up in Mills River, N.C.; the couple loves the outdoors and hopes to find a home near hiking, biking and running amenities. A young Southern California couple grows tired of enduring hours in the traffic and gets ready to move to sunny Tucson, Ariz.; they look for ample guest quarters and an outdoor living space with a great pool. A couple hopes for a drastic change of scenery as they make the jump from Texas to the mountains of Draper, UT. They're especially excited about Utah's outdoor activities from hiking and biking to skiing and sledding. She hopes the house has a gourmet kitchen that will allow them to cook for visitors and he's requiring the new place to have expansive mountain views. Finally, their dream home will need enough space to accommodate her parents because they're moving in, too! 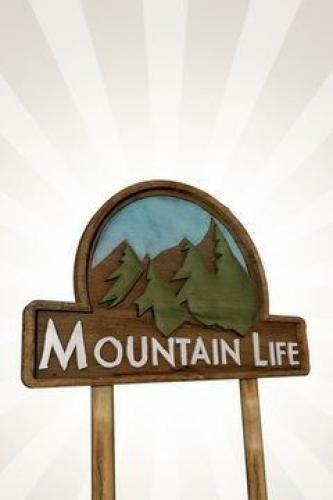 Mountain Life next episode air date provides TVMaze for you. EpisoDate.com is your TV show guide to Countdown Mountain Life Episode Air Dates and to stay in touch with Mountain Life next episode Air Date and your others favorite TV Shows. Add the shows you like to a "Watchlist" and let the site take it from there.